The Hummingbird series rotary tattoo machines are designed and made by our company. It's been tested under the condition of working for 24 hours continuously. Absolutely durable in use. Best of the best. 3. The needle retainer keep's your needle perfectly stabilized and has no need for the rubber bands. Motor bolt systems can be bagged along with your RCA cord helping to prevent cross-contamination. 1. Designed with a well-balanced feel. Low vibration and low noise. 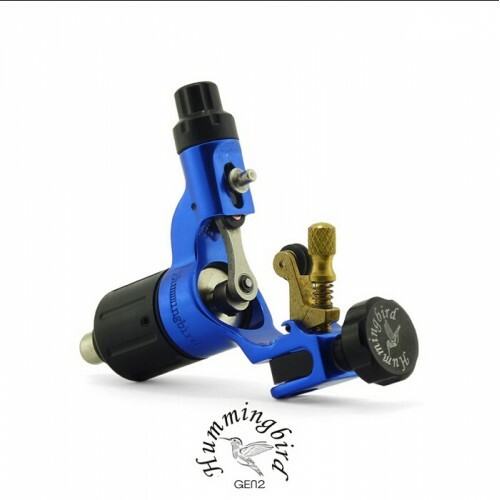 The needle bar stabilizer and the ability to accept standard grips, tubes, needles and power supplies along with an RCA jack makes the Hummingbird machine the complete tattoo machine ever made. 2. 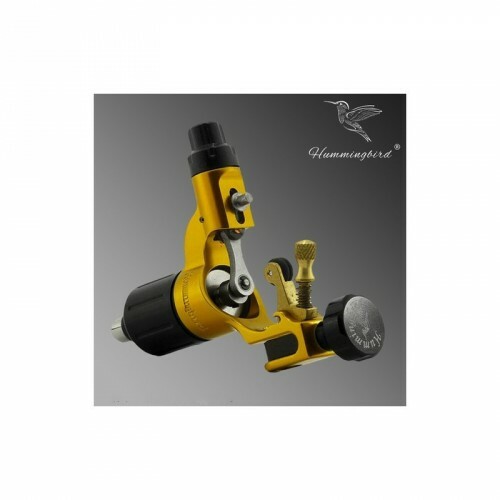 Top quality Swiss made motor makes Hummingbird powerful and durable in use. Long lifespan up to 10,000 hours, steeples speed control with reversing function (consider many tattooists adopts the traditional continually power supply, easy to mess up the positive and negative), drives up to 49 needles or more without problems. 3. The machine is made of lightweight aluminum alloy which has better heat dissipation and reduces your hand fatigue. 4. 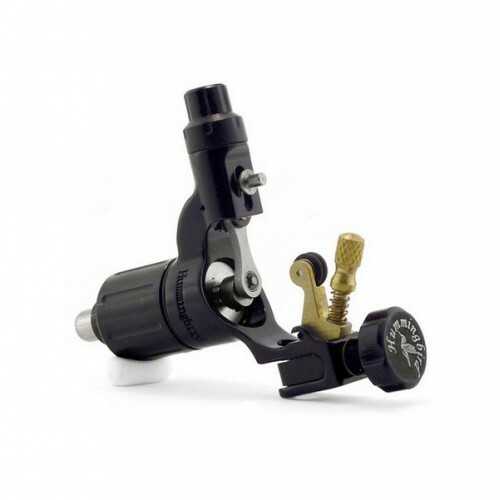 Designed with the tattoo artist in mind and manufactured with high-quality materials and components available. 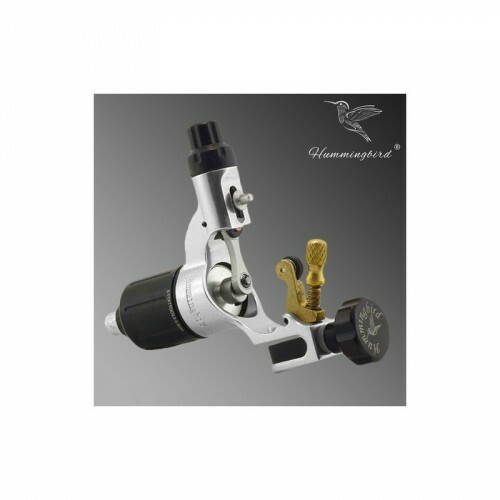 The Hummingbird is a state of the art rotary based tattoo machine with features that gives it several advantages compared to other tattoo machines. Please note: NEVER use 9+v voltage in case that it may cause damage to the machine. We guarantee the quality of this machine and offer you 12 months warranty from the date of purchase. Normal wear and tear are not covered. Misuse, repeated dropping and over lube the machine will also void the warranty. *Hummingbird V2 is NOT designed for cartridges if you like using cartridges please buy cartridge tattoo machine.